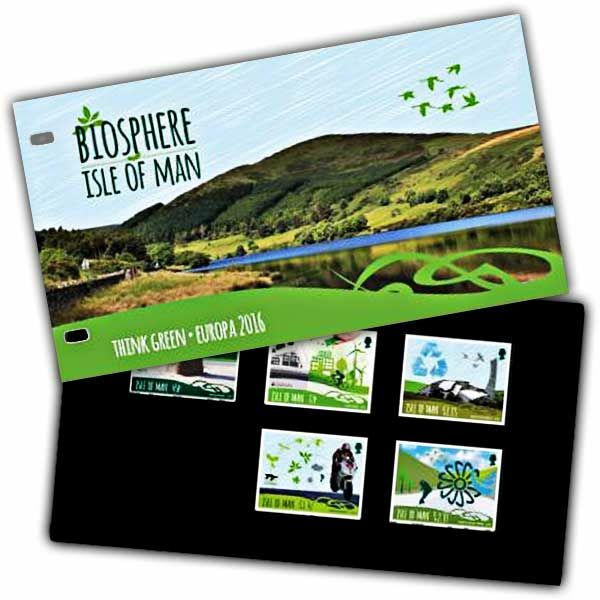 This important philatelic collectable contains a mint condition set of our Biosphere Isle of Man-- Think Green stamps, consisting of the 2016 Europa stamp. 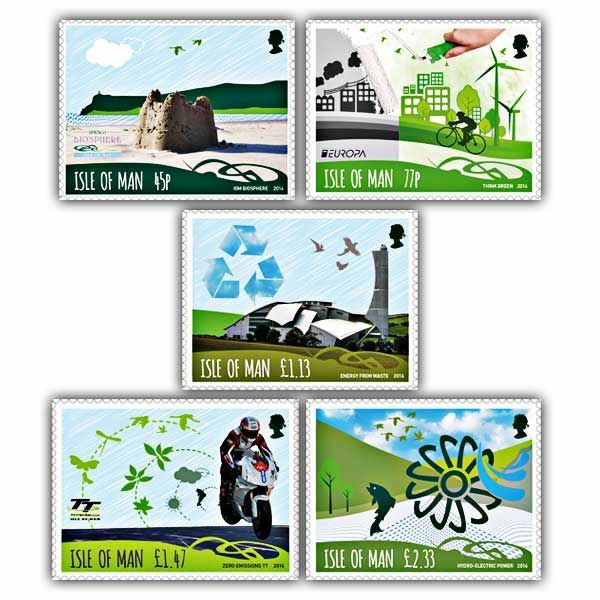 The stamps are accompanied by a four-page mini brochure detailing how the Europa style-- Ecology in Europe-- Think Green - and the Isle of Man's commitment to protecting the environment influenced each of the five stamps. The Presentation Pack proudly bears the Forestry Stewardship Council logo design, underlining our dedication to sustainability.